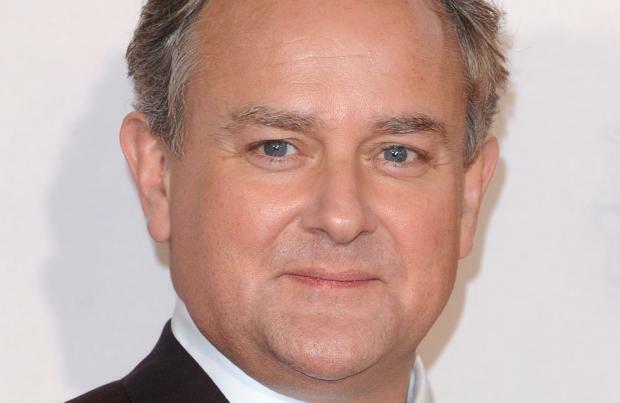 'Downton Abbey' star Hugh Bonneville claims he could've been cast in 'Star Wars: Episode VII'. The 50-year-old actor - who stars as the Earl of Grantham in the series - has revealed how J.J. Abrams, who is directing the latest instalment of the sci-fi franchise, visited the set of the ITV period drama one day when he was absent, meaning he missed out on being scouted for a role in the upcoming film. He told the Daily Star newspaper: "It's awesome when the likes of J.J. Abrams drop in on set. Sadly I wasn't there that day. If I had been I might have been in 'Star Wars'." Hugh and his co-star Lily James - who plays Lady Rose in the series which counts famous faces such as Sandra Bullock, Salma Hayek and Ashton Kutcher as fans - have confessed they found themselves starstruck while filming scenes for the Downton Christmas special at Alnwick Castle, which is used as Hogwarts in the 'Harry Potter' films. Lily said: "I saw a Harry Potter double there. He not only looked like him he sounded like him too." Hugh added: "We were all a bit starstruck. I went on a Mysterious Cellar Tour and got the bejeezus frightened out of me." Meanwhile, Hugh's 'The Monuments Men' co-star George Clooney - who is also a fan series - is set to make a one-off appearance in the hit drama as part of this year's 'Text Santa' charity appeal on ITV.